Close Up of Pendant Lights. Combining antique, industrial and contemporary concepts, these pendant lights provide both ceiling wash light, pools of light on the lodge floor and a center globe for ambient LED illumination. 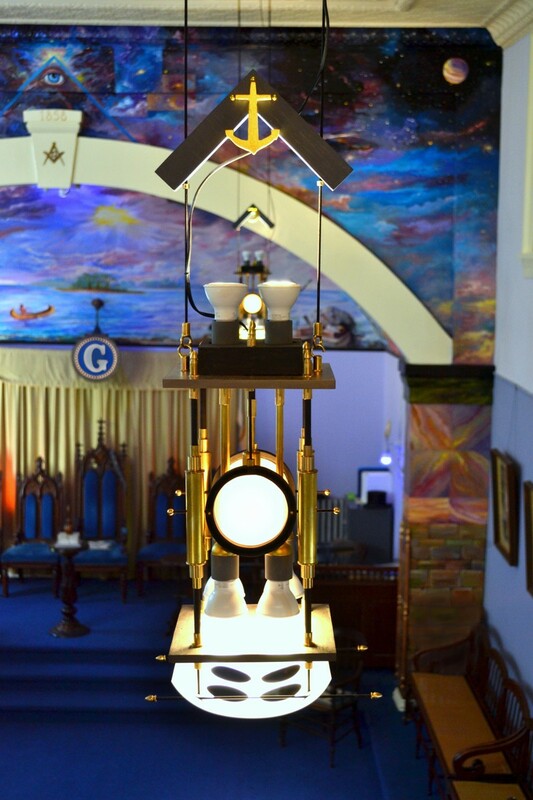 Maple hardwood, brass, glass and polycarbonate and hand carved Masonic Symbols. Designed and entirely handmade by Art Donovan.